Many students and parents are not aware that scholarships are available for current college students to help them minimize student loans. 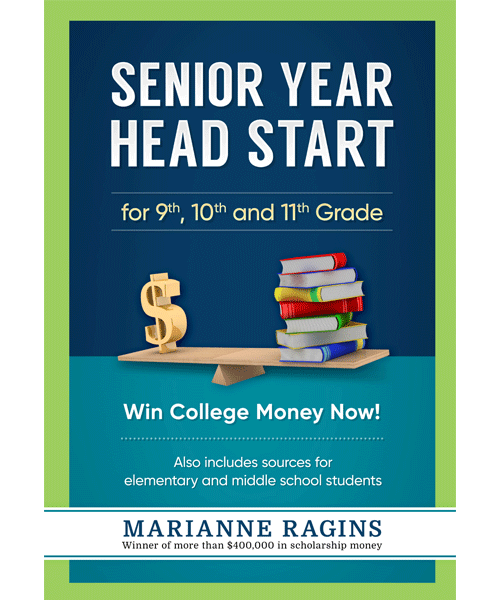 Although the majority of college money opportunities are often for high school seniors, students can win money in college and even graduate school as described in College Survival & Success Skills 101. They can also win money before high school senior year as discussed in Senior Year Head Start. Here are a few strategies for current college students to find college money and minimize student loans. Look for scholarships and awards as soon as you know you may need more money. There are many types of scholarships, prizes and awards for current college students. Glamour’s College Women of the Year Competition, the AKA Educational Advancement Foundation Undergraduate Scholarship and the Scholarship America Dream Award are a few examples. You can use books such as Winning Scholarships for College, directories such as the Ultimate Scholarship Book and online scholarship directories such as fastweb.com to find them. Contact the alumni association for your school in your hometown and ask if they offer scholarships or financial aid to students currently attending the school. Many often do, yet the funds are not heavily advertised. Look for scholarships based on who you are, where you are, what you are, and your interests. For example, many organizations, particularly those designed to serve a specific population (like women) could be an opportunity for you! So, if you are female, search for scholarships targeting women. Are you interested in culinary arts? If so, then search for scholarships targeting culinary arts. Are you a cancer survivor? If so, then search for scholarships intended for survivors of cancer, such as the one offered by the Dr. Angela Grant Memorial Scholarship Fund. Contact professionals who are already working in the field you are planning to enter or obtain your degree. Ask if they are aware of associations or organizations who could help you complete your education. For example, if you’re studying in the field of veterinary medicine, contact a veterinarian. Alternatively, if it’s anthropology, contact an anthropologist. Doing so may or may not help you find a scholarship opportunity, but it could get you a paid internship and/or valuable work experience that can help you win scholarships, grants, or open doors to other opportunities. You should do this in addition to trying to find national associations and organizations that may be listed in a book or have a web site, because professionals in your local area may know of smaller, community and regionally based organizations offering scholarships and awards to students. If you’re studying in a STEM related field, look for scholarships for those in your field. The scholarship offered by the Astronaut Scholarship Foundation is an example of a scholarship open to those in a specific STEM related area. Look close to home. There may be a community foundation in your area with scholarships for current college The Community Foundation of Central Georgia is one example of a community foundation administering scholarship programs available to current college students. Credit unions (often some very close to you) could not only be an opportunity for favorable options to handle your banking but also a scholarship or award. If you belong to a credit union, check it out. Alliant Credit Union is an example of an online credit union with scholarships available to its members (including current college and nontraditional students). Too, membership is easy. A donation to an organization listed on their web site makes you part of their credit union family. By the way, I belong to this credit union. I also belong to two other credit unions with scholarship opportunities for members and their families. 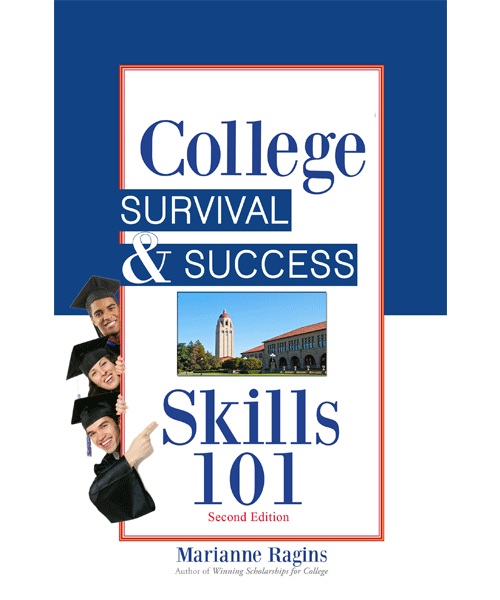 For additional strategies, read College Survival & Success Skills 101 and Winning Scholarships for College. December 15 – AXA Achievement Scholarship – (open to high school seniors. Students can win up to $25,000. Although this deadline is later in the year, this scholarship has an application limit so apply as soon as you can.